We have been making Robe Bags for traveling choirs for years. It started with St. Olaf’s in Minnesota years ago. They needed a travel bag for their long choir robes when they traveled to different singing venues. They wanted to put lots of robes inside it, and they needed to be able to check it with their luggage. 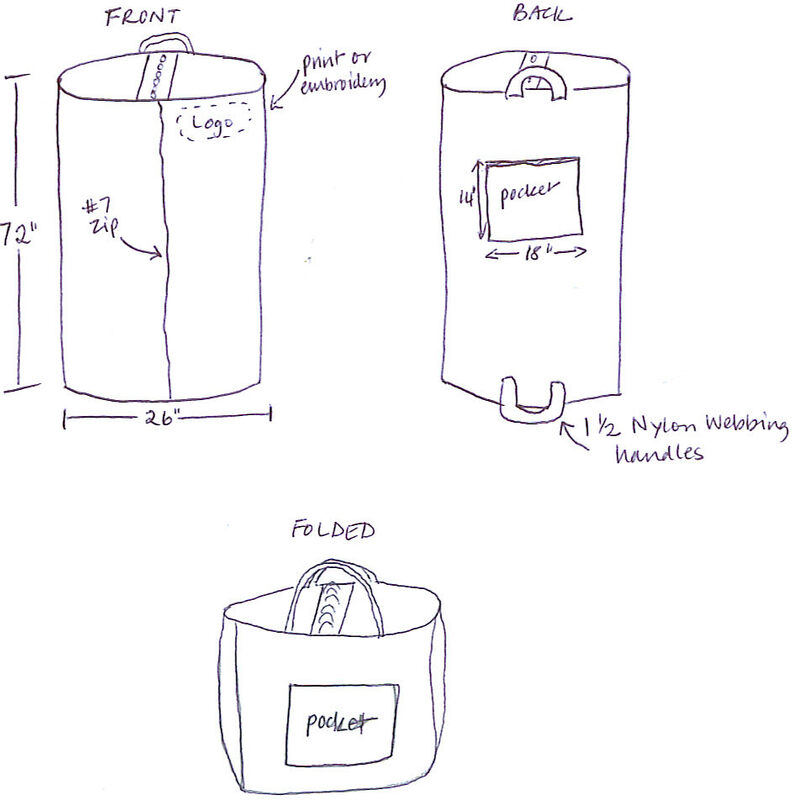 We designed one that holds multiple robes, in our heavy duty polyester. The top has 12 sturdy grommet holes for the hangers, a 6’ long front zipper, and the bottom has a simple Velcro closure for easy access. The top and bottom both have nylon webbing handles, so when it folds in half, it is easily carried. It is 6’ long, so more than sufficient for different gown lengths, and it is more than 2’ wide. If one were to hang 2 robes per hanger, it would hold 24 robes, but just be careful carrying it, as this would be heavy! We can manufacture our traveling robe bag in lots of different colors, and sometimes a choir will opt to put their name on it with a silkscreen imprint or embroidery. Just this week we made some in red for the Choral Music Guild at Mason City High School who is traveling to Spain. We hope the local bulls don’t see their robe bags, and we wish them much luck in the competition! Click on this drawing to see further details and features. Our minimum order is 6. Care instructions are wash cold, and either hang to dry, or warm dryer.